In the vast ocean of summer blockbusters, it can sometimes get a little crowded and complicated. 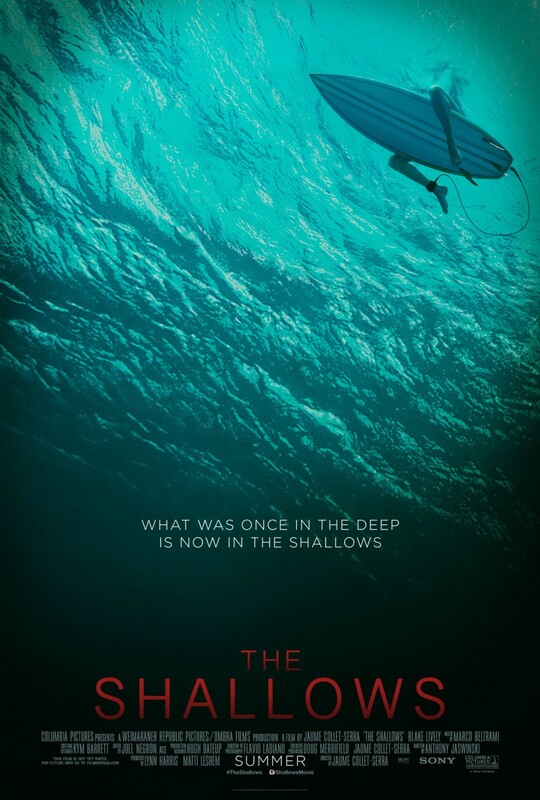 So when a nice, simple film like director Jaume Collet-Serra’s “The Shallows” comes along it’s a welcome relief. The premise is nothing new. A young woman looking to find herself finds herself in a fight for her life against nature. In this case the young woman is medical student Nancy Adams (Blake Lively), who finds herself the target of a seriously pissed-off great white shark. To make matters worse (and more interesting), Adams is stranded on a rock formation that becomes completely submerged at high tide. It’s a tense hour filled with near misses, a little bit of backstory, a seagull named Steven, and a dramatic conclusion that I won’t be spoiling for you here (sorry). “The Shallows” is not a game changing summer blockbuster. It doesn’t redefine the thriller genre. It’s also not surprisingly deep. In fact, the title pretty much sums up its depth. What it does do is provides just enough backstory to make its leading lady relatable, and then lets nature take its course. It’s a nice break from some of this summers juggernauts that sometimes feel a little too bogged down with superfluous details. Sometimes you just want sit back relax and wonder whether the shark or the surfer girl will make it out alive, and that’s exactly what “The Shallows” does.